Entrancing, multi-layered and as wittily subversive as fairy tales themselves, this beautifully illustrated work explores and illuminates the unfolding history of famous fairy tales and the contexts in which they flourished. 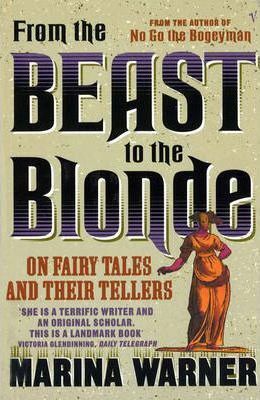 It also lifts the curtain on the tellers themselves - from ancient sibyls and old crones to the more modern Angela Carter and, of course, Walt Disney. A brilliant compendium of folklore, fairytales and learning which reveals unexpected links and histories behind some of our oldest and most-loved tales. Entrancing, multi-layered and as wittily subversive as fairy tales themselves, this beautifully illustrated work explores and illuminates the unfolding history of the famous tales, the contexts in which they flourished, and the tellers themselves - from ancient sibyls and old crones to Angela Carter and Disney. "Consistently enlightening...this is a brilliant work: wise, witty and as magisterially omniscient as any Sibylline oracle"
Marina Warner spent her early years in Cairo, and was educated at a convent in Berkshire, and then in Brussels and London, before studying modern languages at Oxford. She is an internationally acclaimed cultural historian, critic, novelist and short story writer. From her early books on the Virgin Mary and Joan of Arc, to her bestselling studies of fairy tales and folk stories, From the Beast to the Blonde, No Go the Bogeyman and Stranger Magic, her work has explored different figures in myth and fairy tale and the art and literature they have inspired. She lectures widely in Europe, the United States and the Middle East, and is currently Professor in the Department of Literature, Film and Theatre Studies, University of Essex. She was appointed CBE in 2008.